Simple, striking graphics always look good in a children’s bedroom or playroom. Include their name in those pictures and, voila, a very special print to adorn the wall for years to come. 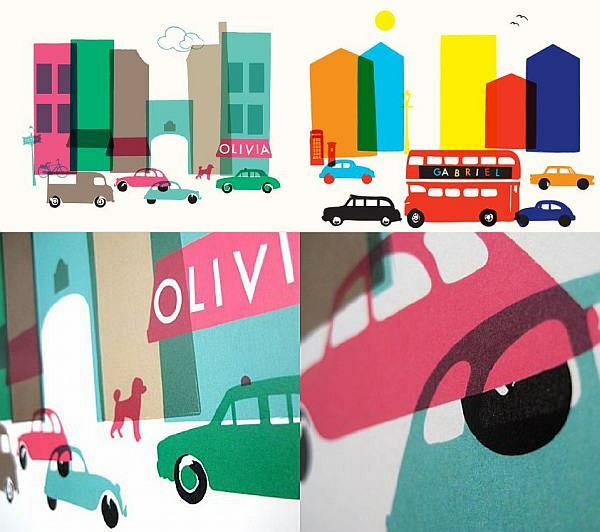 These charming city scenes are designed by London-based family company Ruka-Ruka. Choose from New York, Paris or London street locations and see a bus, a building or plane banner personalised with your child’s name. 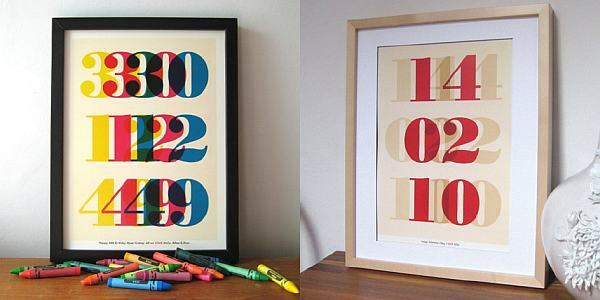 What a unique gift – so bold and retro plus all the prints are custom made and printed on high-quality paper. As well as the city scenes, Ruka-Ruka have some super-cool date illustrations ideal for special birthdays and anniversaries. All the prints, including personalisation, are a very reasonable US$42 plus shipping costs from Supermarket.